Kristin Tieche is an award-winning producer, director and editor. Her work has aired on National Geographic, Smithsonian Channel, Science Channel, Al Jazeera America, PBS, CBS, Fox, LinkTV, Fine Living Channel, Food Network and Home & Garden. When trekking through the Panamanian rainforest in 2007, her professional calling became clear: to produce video campaigns with measurable impact for environmental and sustainability clients. She formed Selvavision to provide creative services for sustainable brands and environmental causes. Kristin applies her filmmaking expertise in developing strong characters and transformational story arcs to storytelling for sustainable brands and climate communications. With more American companies choosing to comply with the Paris Climate Accord, telling your organization's sustainability story is more important than ever before in order to remain competitive. Certified in GRI sustainability reporting in 2017, Kristin Tieche is uniquely positioned to craft the story of a company’s journey towards emerging as a sustainability leader. With an educational background in climate science, and vast experience in video production, Kristin transforms an organization’s sustainability and climate data into innovative visual content that engages stakeholders beyond the choir. Kristin holds a Master of Arts in Television, Radio and Film from the S.I. Newhouse School of Public Communications at Syracuse University and holds a Certificate in Sustainability from City College of San Francisco. She is also a certified cetacean naturalist and dedicated urban cyclist. 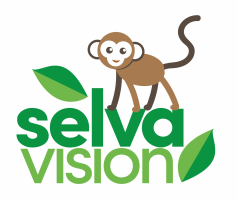 Selvavision collaborates with teams of freelancers custom-built ​to fit the needs of your project or campaign.